The Chicago Bulls are set to take on the Toronto Raptors on Thursday night but a lot of the news and rumors coming out lately have been about Derrick Rose and his comments. Derrick Rose has gotten some criticism for comments he made recently about sitting out same games, saying that he’s thinking of the future. “I’m thinking about after I’m done with basketball, having graduations to go to, having meetings to go to,” Rose said. Steve Rosenbloom of the Chicago Tribune was one of the people who was upset about what Rose said. “Thing is, it’s not just that the statement is idiotic, it’s that he apparently believes it. It’s galling and stupid, and Rose doesn’t seem smart enough to understand why. The Bulls are trying to win a title and gave him a $95 million contract toward that end. And they get that horsebleep?” Rosenbloom wrote. 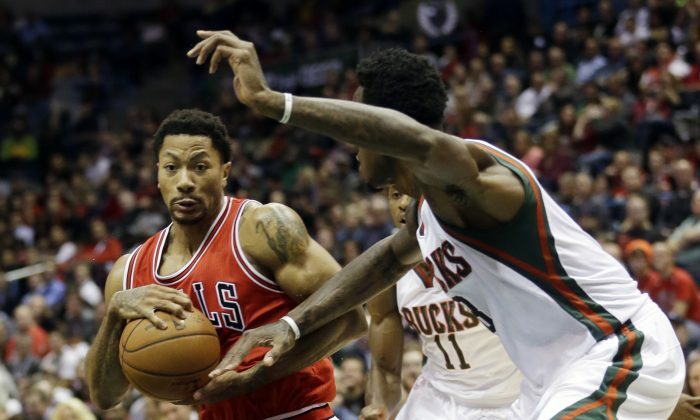 Rose responded to the criticism by saying that he was just being himself. “As long as I’m being myself, that’s the only person I can be,” Rose told the Chicago Sun Times on Thursday morning before the Bulls’ morning shootaround at Air Canada Centre. Rose was asked if he understood why some people would get upset at his comments, and he said no. No, no, but I could care less,” he said. He also noted how his injuries have changed his outlook, and admitted that people questioning his commitment bothered him. Rose’s teammates said that they support him. “I heard a couple things from people, not directly reading from the outlets, but obviously he’s concerned about his long-term health, which we all are in a way, but we’re in a business, we’re in a sport, where that’s what’s at stake and that’s a commitment that we make, and a price that we pay,” Pau Gasol told ESPN. “He’s fully committed the way I see him working, the way I see him out there. Nobody should question that. You know it’s a little bit different viewpoint, but as far as his commitment to us, the city, the team, that should never be put in question,” he added. Coach Tom Thibodeau, though, seemed to have a slightly different take. “The bottom line is this: He was injured. He had two sprained ankles. So he did the right thing,” he said, reported the Sun Times. “And when he was better, he played. I just want him to keep building, put a string of games together, keep working. Thinking about the team, how we’re going to win, and that’s it. Ray Allen was spotted in Chicago recently, although his agent denied rumors that Allen was leaning toward signing with the Bulls. But if Allen, 39, does sign with Chicago, it will help the team’s chances of winning a title. “Although many believe Allen will eventually end up with the Cavaliers, a move to Chicago would make as much sense for the veteran. He would be joining an elite squad that already has the pieces in place to win a championship whether he plays or not. This type of upside without much pressure would be very appealing for a player in his position,” noted Bleacher Report. The Bulls already have a lot of shooters but none as consistent as Allen, who would also bring experience to the relatively untested team. “Chicago has a lot of talent on the roster, but few players would bring as much confidence when going up for a vital shot in the closing seconds as Allen. The Bulls are off to a strong start to the season and clearly have what it takes to contend in the Eastern Conference regardless of any changes to the roster,” it said. 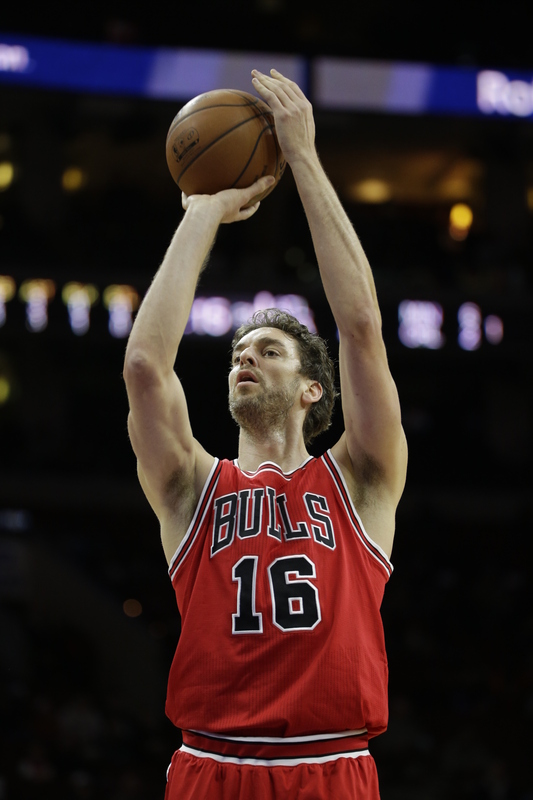 Newcomer Gasol has been spotted at a number of restaurants and other establishments in Chicago in the last couple weeks. Gasol dined with Joakim Noah at Roka Akor on Monday following the Bulls’ win over the Detroit Pistons, and hung out at the Berkshire Room in the Acme Hotel on Saturday, reported the Tribune. He ate at Jellyfish on October 17 and October 25, and at Japonais on October 22. He also enjoyed the fare at Sunda with Taj Gibson on October 18. Other spots Gasol has dined at lately include the Siena Tavern.